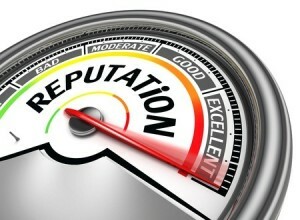 Keeping track of your online mentions, social signals and overall presence is absolutely critical in keeping a positive reputation within select web circles. Whether you are a business professional or a freelancing entrepreneur, keeping a good overall web presence can make the difference between grabbing that client and otherwise failing to make the deal. Luckily, there are plenty of ways in which you can monitor your online presence without lots of added costs and little effort. Below, we’ll outline the top seven ways you can monitor your reputation and stay on top of rectifying any potential issues. Whether they are on your blogs or elsewhere, keeping tabs of what others are saying about you in comments will go a long way in understanding and correcting any online reputation perception problems. Tools like Backtype, which recently merged with Twitter, will let you find any and all comments referencing you, and can be used to determine just who is currently talking about you. With tools now available that let you know what people are saying about your site, it makes absolute sense to begin using them. Still, old-fashioned research goes a long way. If you are associated with a brand or specific website, then you will want to make sure that you are monitoring its reputation, as it is an extension of your own reputation. Sites like Google offer alert systems that can be used to notify you whenever new comments or activity involving certain keywords occur, by pinging blogs and content portals across the internet. For a brand or your own image, this is one of the best ways that you can keep an eye on your broader search reputation. Whether it is news, static content or even in some cases, comments, you can rest assured that an alert program will inform you whenever a new discussion begins about you or your site. Having an online reputation across the major social media platforms will not only grow your online clout, but will give the impression that you are active and well-informed when concerning the latest trends. Even if you are not ready to begin using select social services, it is a good idea to establish your identity on this platforms so someone else – particularly competitors – can’t maliciously pretend to be you and ruin your reputation. One of the easiest ways to lose track of your social mentions is through having them scattered to the winds. There are services like FriendFeed that combine multiple social networking blurbs, status updates and mentions into one easy-to-use interface. Through this, you can share and interact with your social profiles, making it much more simple to keep track and subsequently respond to any questions, criticisms or comments. While pinging blogs via traditional search engines for reputation clues is a good idea, some social search engines can provide much more insight. Sites like Socialmention will show real-time social media search and analysis on just about any topic – including individuals. If you want to stay ahead of the curve, it’s a good idea to use this sort of search engine in addition to traditional search methods.